This spicy Mexican dish is a simple, healthy weeknight option that takes just 15 minutes to make. 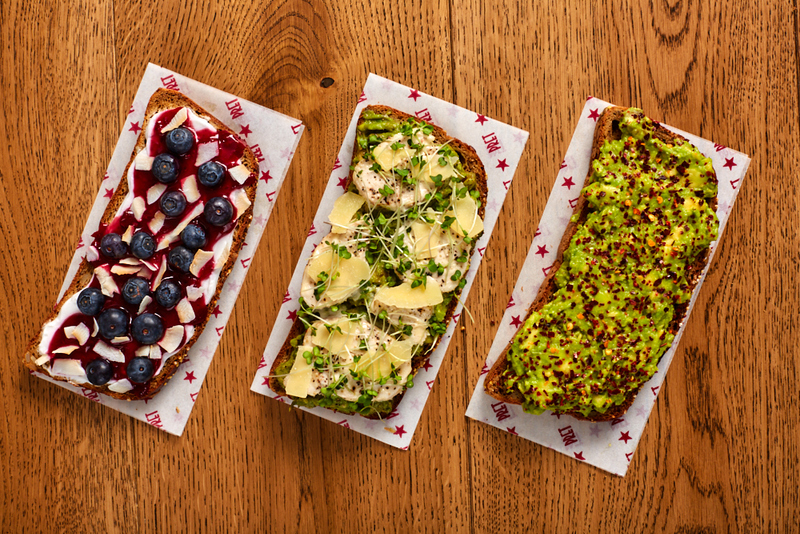 It’s not just gluten-free – it’s also vegan! 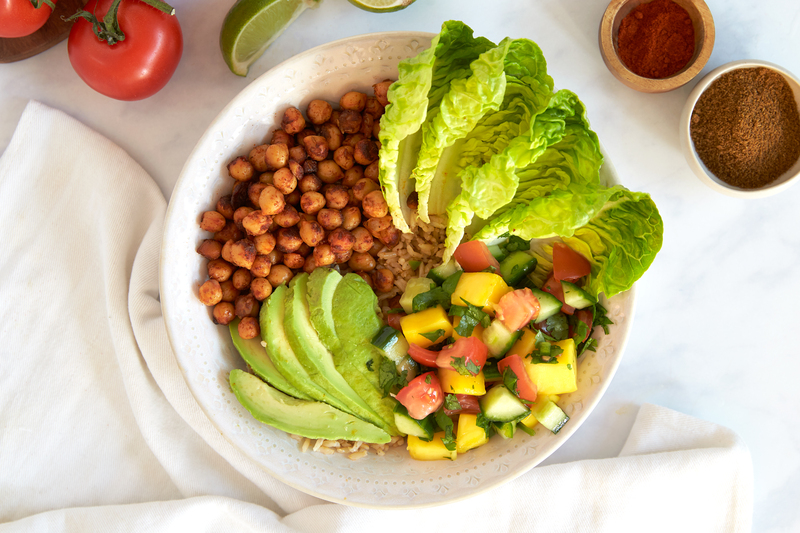 In this dish, surprisingly versatile chickpeas are prepared with a tropical twist. Pan-fried until golden with warming spices, they make the perfect foil for a lime, cucumber and mango salsa, and velvety avocado. Drain and rinse the chickpeas. Heat a frying pan with 1 tbsp oil on a medium heat, add the chickpeas, smoked paprika, ground cumin, allspice and maple syrup (to taste). Season with a pinch of sea salt, mix well and cook for 10 mins, turning occasionally until turning golden. Remove from the pan and keep warm. Meanwhile, to make the salsa: roughly dice the tomatoes and the half cucumber. Peel and de-stone the mango and cut into small 1cm cubes. Finely chop half of the jalapeno. Roughly chop the coriander leaves. Mix the salsa ingredients together with a pinch of sea salt and squeeze in the juice from half of the lime. Heat the same dry frying pan the chickpeas were in on a medium heat, add the brown rice with 1 tbsp cold water, a pinch of sea salt and black pepper and the remaining lime juice. Cook for 3-4 mins until the brown rice is cooked through. Peel and de-stone the avocado and slice thinly. Slice the end of the baby gem lettuce. 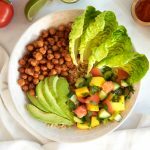 Spoon the brown rice into two warm bowls and top with the spiced chickpeas, gem lettuce leaves, avocado slices and salsa.